I'm away on a mural project, so won't be able to ship until July 13. These are lovely. You're right about the white within the shell and around the shell. Interesting title. I was just having a conversation with Rick Nilson about the oil surging. With that in mind, White Shore takes on a whole new meaning. Hope your having fun with the mural! Hi Susan--thank you. Yes, the gulf spill has been much on my mind while doing these shells. The title "White Shore" was chosen in deliberate contrast to what's happening on the beaches. 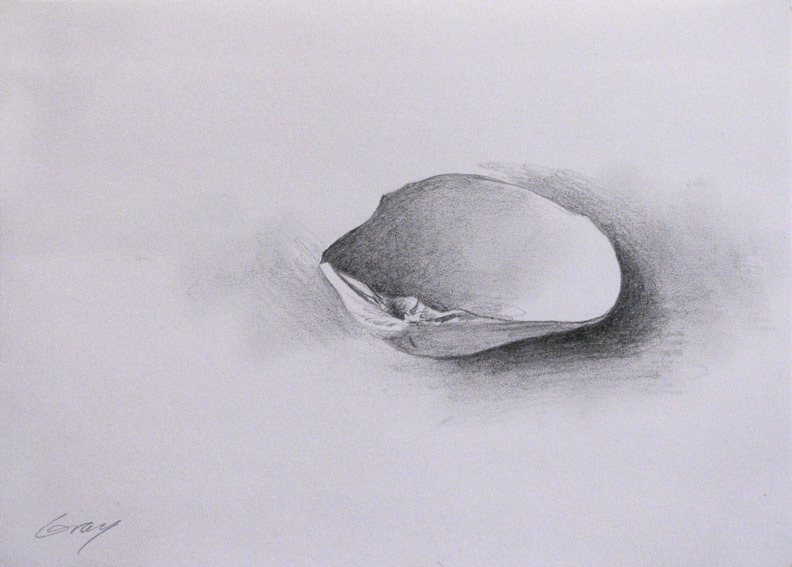 These are so simplistic and beautiful- a wonderful use of graphite, Don. Glad this one is sold, it's my favorite. Lydia, nice to hear from you--thanks. Good to see your new work on your blog.